A place where you can make friends, gossip, and study with each other. What is MozTW Lab ? We do not need a certain goal or something to do for Lab at Taipei. There is new information to discuss, and difficulties to solve, but there is no unified target. Where are MozTW Labs ? Free to join. Wi-Fi and power are available, food and drinks on your own. 新竹市東區信義街68號3樓 No.68 3F, Xinyi St., East Dist., Hsinchu City. Minimum charge: NTD 60, with Wi-Fi and power. "Free to participate. Beverages and food on your own." 來開 Lab！ Start a new Lab! 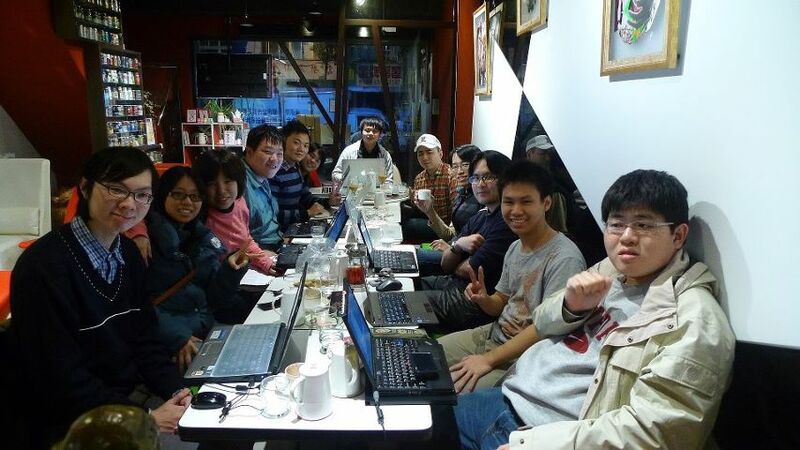 Do you want to start a MozTW Lab at your location in Taiwan periodically? Hail your friends on MozTW-General.